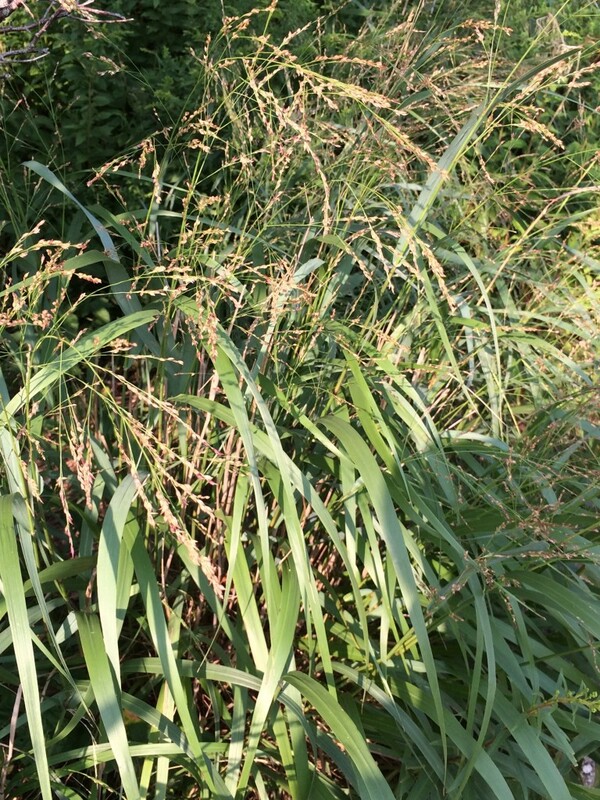 Panicum virgatum is an upright perennial, C4 metabolism (Aliscioni et al. 2003), to 2 m tall, large clumps from rhizomes, sometimes slightly pale-waxy, winter stems tan, persistent. Leaves with lower sheaths longer than internodes, ligules silky-hairy; blades 20-50 cm long, to 1.5 cm wide. Panicum virgatum-fruit. Copyleft Peter Chen (陈晚盈).Kirt Prairie.www.cod.edu (Accessed 3/2016). Flower spikelets 1-flowered, sparse, egg-shaped, 0.2-0.5 cm, wider at top from spreading of glumes and lemma; inflorescence open, branching, pyramidal, 20-40 cm long; blooming and fruiting July-Sept. (Hough 1983). Seeds eaten by many birds and small mammals (Martin et al. 1951). Habitat: Open areas, dry to wet, poor soil, acid fill, sand, roadsides, back dunes and marsh edges, soil pH 4.5-8; tolerant of fire, moderately tolerant of drought, salt, intolerant of shade (USDA, NRCS 2010). 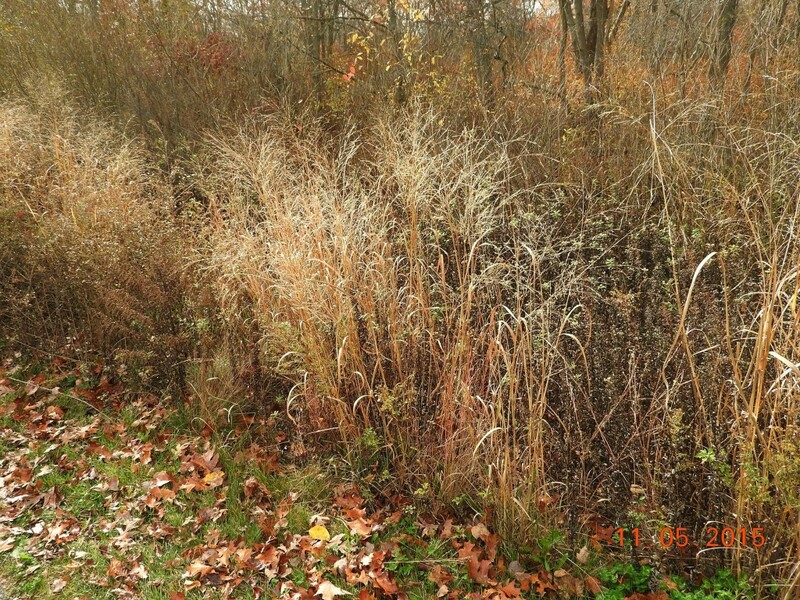 Notes: A warm season, prairie grass, reproduces primarily by seed, seeds dispersed in fall, require chilling, germinates following spring (Jianhua and Maun, 1991). plants eaten by geese and rabbits (Martin et al. 1951). 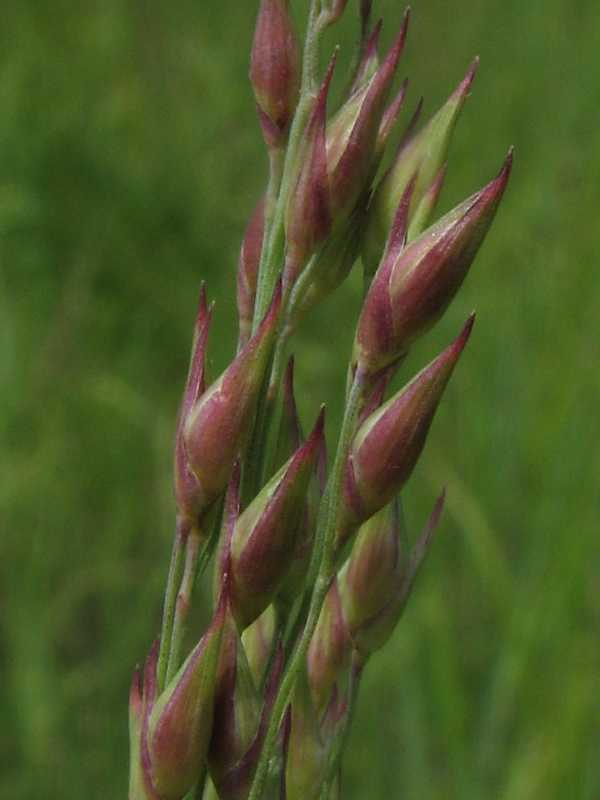 Often planted in meadow and grassland restorations.